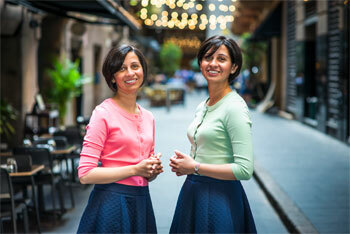 Achieving the great Australian dream: how two Pakistan-born twin sisters emigrated to Sydney with no savings and built a multi-million-dollar property portfolio by 30. Identical twins Sana and Mona Ali emigrated from Pakistan to Sydney at age 15 with their family, and with a drive to create a great life for themselves in beautiful Australia. That was October 2000, now, almost 17-years on, the twins have achieved the great Australian dream of owning their own home. But they didn't stop there. Before age 30, Sana and Mona built a $5 million property investment portfolio – something many Australians spend a lifetime dreaming about. The twins discovered their love for property at age seven when their mum bought them a home and lifestyle magazine for their year two assignment in Pakistan. Upon arriving in Australia, the twins prioritised their professional development. Sana completed an IT degree at Sydney's University of Technology, and Mona completed an accounting degree at The University of Sydney. Their motivation to succeed is demonstrated by them securing highly coveted corporate roles: Mona landed an accounting position at PwC before moving to a finance role at Macquarie Group, and Sana joined Macquarie Group where she progressed in IT and project management roles. With the aim of owning a house each, by age 24 Sana and Mona saved a $40,000 deposit to purchase two properties, and the rest was history. The twins accumulated 10 properties within five years, within the Greater Western Sydney region and Brisbane. By age 29, Sana and Mona amassed a property portfolio worth $5 million, including a family home in the Parramatta region, which they rebuilt and now occupy. To inspire others to reach financial empowerment through property investment, and to assist home buyers looking to use property to build an asset base, the twins have recently left their corporate roles to establish their own mortgage broking business, aptly named Property Twins™. Mona says: 'One of the major reasons we began investing in the property market in the first place was to get into our own home, and living in this lucky country has enabled us to pursue our dreams. We have worked hard to reach this point, and we hope to empower other Australians with our knowledge and expertise through Property Twins." Question: What advice do you have for first-home buyers? Sana and Mona Ali: It's important to start small and recognise that your first property does not have to be your dream home. We believe young investors can do well by renting a home in their desired area and purchasing a property in a more affordable suburb with good rental returns. You don't necessarily have to purchase in Sydney or Melbourne. There are other real estate markets in Australia with fundamentals and returns which make the investment more viable. Question: Can you share your tips for saving for a deposit? Sana and Mona Ali: Start saving as early as possible as this will give you access to more property cycles and the opportunity to purchase at a more affordable price. In addition, develop a savings plan and be prepared to make the sacrifices necessary to stick with it – such as foregoing eating out frequently and embarking on expensive overseas travel. Question: What did you have to compromise on to save your deposit? Sana and Mona Ali: While building our portfolio, we focused all our attention on saving and went without luxuries like holidays. We didn't spend much on eating out and we drove a little Kia Rio. We also invested a lot of time after hours into attending open homes and educating ourselves about different area markets in order to source the best deals. Question: What fears did you overcome to achieve your property dreams? Sana and Mona Ali: One fear we had to overcome was having the confidence to take on some of the financial risks involved in property investment. To combat this fear, we invested a lot of time into our self-development and surrounded ourselves with other investors who had achieved success in their own portfolios and whom we could learn from. It's said you are the average of five people you spend the most time with, so the power of association propelled us in aiming high. Good cash-flow management and ensuring the numbers met our strategy were also key in helping us secure investments with potential for profits and it paid dividends. Question: What response do you have for those young Australians who say 'it's too difficult to save"? 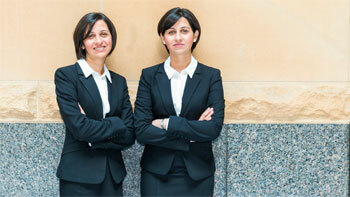 Sana and Mona Ali: We have been first-home buyers and understand how difficult it is to save up for a first property. However, if you are driven, work hard and commit yourself, you can achieve your savings goals. One piece of advice we would give young Australians is to write down your short term and long term goals and develop an action plan to achieve them early on. Figure out -why' you want to buy a home or an investment. When you have a big reason as to -why' you want to do something, you are more likely to look for solutions to make it happen. Having a -why' will help you maintain your focus and motivation to save when it gets tough. Question: What advice do you have for buyers who wish to live in the Sydney and Melbourne markets? Sana and Mona Ali: Have a clear idea about the type of property you would like to buy and plan the steps you need to take to make this a reality. It's also important to thoroughly research the areas you are looking to invest in and consider supply and demand – what is the typical property sought by tenants in your suburb? Consult local council and real estate websites to gauge government/private spending, property growth, suburb price points and rental yields in the area. Focus on investing in properties that are positioned close to transport and shops as these will offer the best long-term growth. Question: What questions should we all be asking real estate agents? Sana and Mona Ali: It's important to build rapport with the real estate agents you encounter as this will encourage them to engage with you when the right property comes along. Make sure you are prepared with the finance as agents value buyers who are ready to take action. In general, before any negotiation on a property, you should ask the real estate agent how long the property has been on the market, as the longer it has been on the market, the more likely you are able to negotiate to your advantage. Some other good questions to ask include: why are the vendors are selling, how flexible are the vendors on price, and what sort of purchase conditions may enable you to acquire the property. Question: Can you tell us about your business, Property Twins? 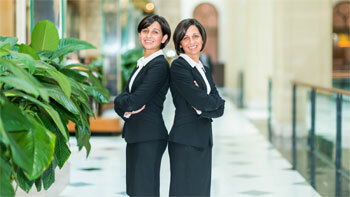 Sana and Mona Ali: Property Twins is a mortgage broking business, focused on structured property finance aligned with client goals to ensure their real estate success. We assist home buyers with home loans, existing home owners with refinance and investors with investment loans, and finance strategy. We work with clients Australia wide. Question: What inspired the creation of Property Twins? Sana and Mona Ali: We are passionate about helping home buyers use property as a vehicle to build an asset base through property investment. We understand how overwhelming the investment process can be and hope to empower other buyers to achieve their life goals through property. The key for us is not just looking at a transaction but at the big picture for our clients and how they can leverage our knowledge and expertise to move forward in building better lives for their families and themselves.